All Acampo homes currently listed for sale in Acampo as of 04/26/2019 are shown below. You can change the search criteria at any time by pressing the 'Change Search' button below. "2 Houses on one lot. Completely fenced, 2.46 acres of beautiful park-like grounds. 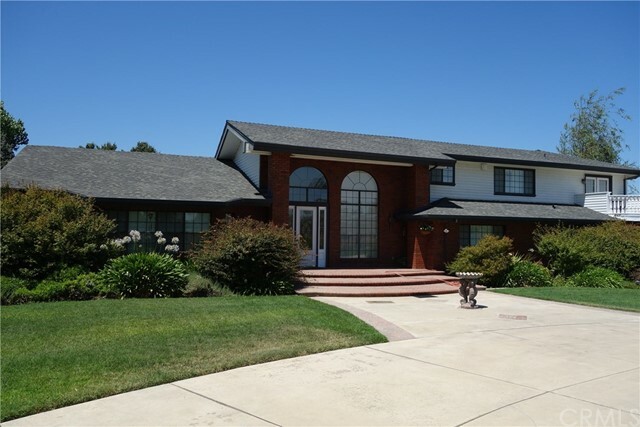 Main house with 5 bedrooms, 4 bathrooms and 5,084 square feet. Large kitchen with granite counters, center island and double ovens. Formal dining room, separate family room and separate living room with large wet bar. Master bedroom with cedar lined closets, sitting area and private balcony. Oversized 4 car attached garage, large covered patio, open floor plan, huge great room with skylights and vaulted ceilings. Second home/guest home is a detached 3 bedroom, 1 bathroom with approx 900 square feet. The second home has a detached 4 car garage. The property has lots of room for RV parking and storage. The zoning will allow for horses/animals. Owner willing to trade or carry paper.... call for details."